Delivering baggage on time—The airline must make “every reasonable effort” to deliver mishandled bags within 24 hours; it must compensate passengers for reasonable expenses caused by the delay. Pretty reasonable, right? 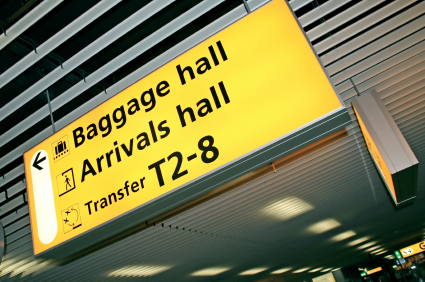 After all, you pay a fee to transport your bag, so if the airline fails to hold up its end of the bargain and delivers the bag late, or loses it, you should be reimbursed. That’s how it works with airfares—if your flight is delayed or canceled, passengers are typically compensated in some manner. Reasonable to some, but not, apparently, to the Air Transport Association (ATA), which represents most of the country’s largest airlines. In fact, the ATA thinks the concept of bag fee refunds is flat-out absurd. … A “timely delivered” bag is a subjective standard and does not address the question of when a bag is available for pickup versus when a passenger may actually possess the bag. An arbitrary “timely” delivered bag standard would also not account for varying conditions, such as passengers who live two hours away from an airport. Existing standards and requirements make additional baggage delivery and refunding standards unnecessary … Higher costs to meet a standard and fines for failure to comply will increase the cost of tickets and bag carriage for all passengers. Finally, it is not clear the Department has the authority to prescriptively regulate standards for baggage delivery. DOT cites no express authority for such action. ATA begins by making the free market argument: Passengers can choose to avoid paying the fee entirely if they want. But what that sentence should say is, “if they want and if Southwest or JetBlue flies where they want to go.” Because last time I checked, every major airline charged for all checked bags except those two. But apparently the status quo provides customers with the “greatest choice.” Do these people read what they write? Next, we have the “subjective standard” argument, and the suggestion that “arbitrary” delivery requirements would not account for “varying conditions.” But what’s “arbitrary” about expecting a bag and its owner to arrive at the same airport at the same time? Third, the fear-mongering. Fares and fees will go up! So the $25 most airlines charge for the first checked bag isn’t enough to cover basic, timely bag carriage? What on earth are people paying for, then? Last, when all else fails, discredit the source with zero empirical evidence that invalidates its authority. My feeling is that travelers are paying these fees to bring their bags with them when they travel. They are not paying these fees to have their bags arrive hours or days later, or not at all. If airlines are going to charge for a service, they should be held accountable for that service, and provide compensation when they fail to deliver, within reason. Alaska promises your bag will arrive within 20 minutes of parking at the gate, or you get your fee back in the form of a flight credit. There is no reason more carriers couldn’t adopt a similar policy. Well, no good reason, anyway.